Doc McStuffins (television) Animated series for pre-schoolers on Disney Junior, debuting on March 23, 2012. 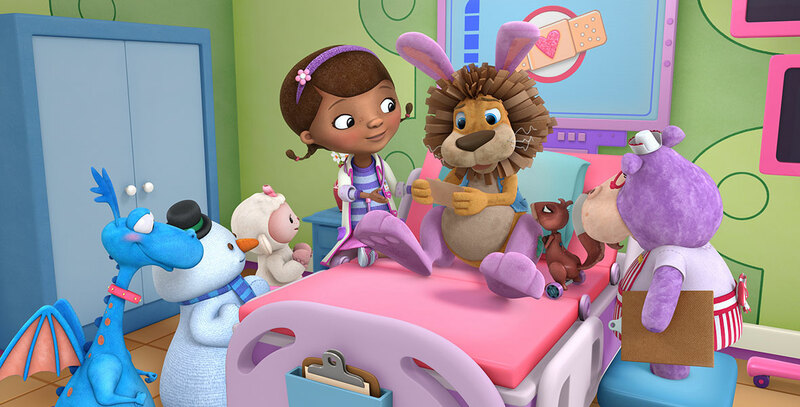 Doc McStuffins is a 6-year-old girl who has the ability to communicate with toys when she puts on her stethoscope and goes to work in her backyard playhouse. She works with her own stuffed animals to treat and help broken toys in her neighborhood. Voices include Kiara Muhammad (Doc McStuffins), Jaden Betts (Donny McStuffins), Robbie Rist (Stuffy). Produced by Brown Bag Films for Disney Junior.